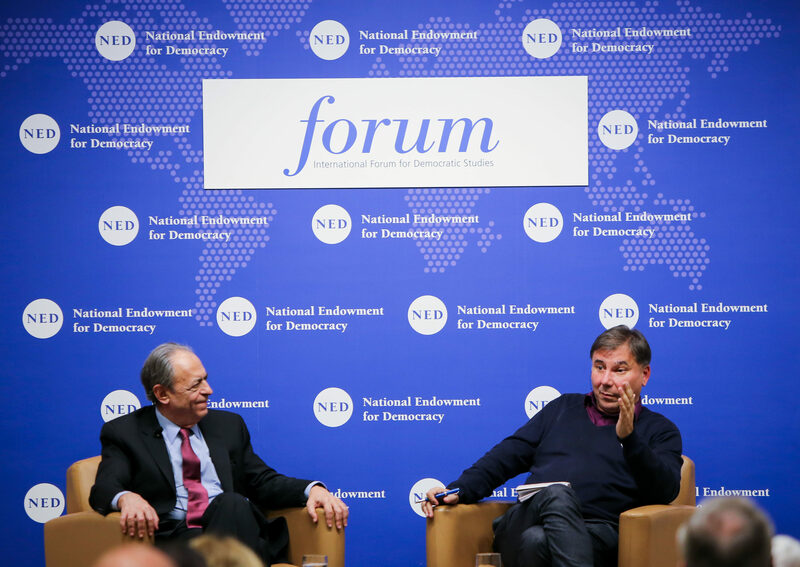 “Imitation and Its Discontents” – On November 5, 2018, Ivan Krastev, chairman of the Centre for Liberal Strategies (Bulgaria), presented “Imitation and Its Discontents” at the National Endowment for Democracy’s International Forum for Democratic Studies. The talk stemmed from Krastev’s July 2018 Journal of Democracy article by the same name. The Democratic Decay Resource, designed to be a hub, resource, and platform for researchers and policymakers focused on addressing democratic decay around the world, formally launched in October. The Resource contains seven key sections: research guides, a concept index, experts database, events database, teaching materials, campaigns, and links. The Institute has also announced that its Policy Dialogue Day, focusing on “New Challenges to Democracy, Governance, and Peace,” will take place on Wednesday May 22, 2019, at the Wallenberg Conference Center in Gothenburg, Sweden. The event is organized jointly by the V-Dem (Varieties of Democracy) Institute, the QoG (Quality of Government) Institute, GLD-Gothenburg (Program for Governance and Local Development), UCDP (Uppsala Conflict Data Program), and ViEWS (Dataset on early warnings of political violence). The Center for International Private Enterprise (CIPE), the National Democratic Institute (NDI), and the NED’s Center for International Media Assistance (CIMA) are working together to connect civic, political, and private sector leaders from around the world to defend internet freedom. The Open Internet for Democracy initiative fosters the global Open Internet for Democracy Community to provide a platform where digital rights advocates can network and share best practices to promote norms articulated in the Democratic Principles for an Open Internet. This initiative also features the Open Internet for Democracy Leaders Program that empowers emerging leaders from across the globe to build their advocacy and organizing skills to protect internet freedom. CIPE, NDI, and CIMA encourage everyone interested in the topic of open internet to join their mailing list and follow them on Twitter @OpenNetGlobal. The International Forum for Democratic Studies (United States) published an issue brief on “The Demand Side of the Disinformation Crisis,” which explains the cognitive factors which make audiences vulnerable to disinformation, technological factors driving the consumption and spread of disinformation, and implications of disinformation’s “demand side” for the democratic response. The October issue of the Journal of Democracy features a cluster of articles on “Latin America’s Shifting Politics,” investigating the trends underlying the recent changes in Latin America’s political landscape. The cluster includes Kenneth F. Greene and Mariano Sanchez-Telanquer on the sweeping victory of leftist candidate Andrés Manuel López Obrador in Mexico’s July elections; Alberto Vergara on the impeachment of President Pedro Pablo Kuczynski in Peru; Steven Levitsky with an assessment of democracy’s overall fortunes in the region; Forrest D. Colburn and Arturo Cruz S. on Costa Rica; Laura Gamboa on Colombia; Carlos de la Torre on Ecuador; and Jean-Paul Faguet on Bolivia. The issue also features Francis Fukuyama explaining the enduring salience of national identity, Richard Wike and Janell Fetterold analyzing trends in global public support for liberal democracy, and much more. Afrobarometer released new data on citizens’ perceptions of the Truth, Reconciliation and Reparation Commission, the Constitutional Review Commission, migration, and security sector reforms in the Gambia. The Centre for Development and Enterprise (CDE) published an op-ed on the outcomes of the recent presidential Jobs Summit held from October 4-5, 2018. Unemployment in South Africa remains a huge challenge with close to 10 million people unemployed across the country. CDE also developed an infographic to highlight the scale of the crisis. The Ghana Center for Democratic Development (CDD-Ghana) published a September 2018 special edition newsletter focusing on “Making Democracy Work for All Ghanaians in the Fourth Republic.” The newsletter features recommendations on how to foster greater inclusion in governance within the country. The Center for Democracy and Development – West Africa published a report entitled “After Boko Haram: Prospects for Transitional Justice in North East Nigeria,” which shows that, though the level of violence in Nigeria has declined since 2015, more comprehensive and community-specific approaches to reconciliation and justice are still needed. 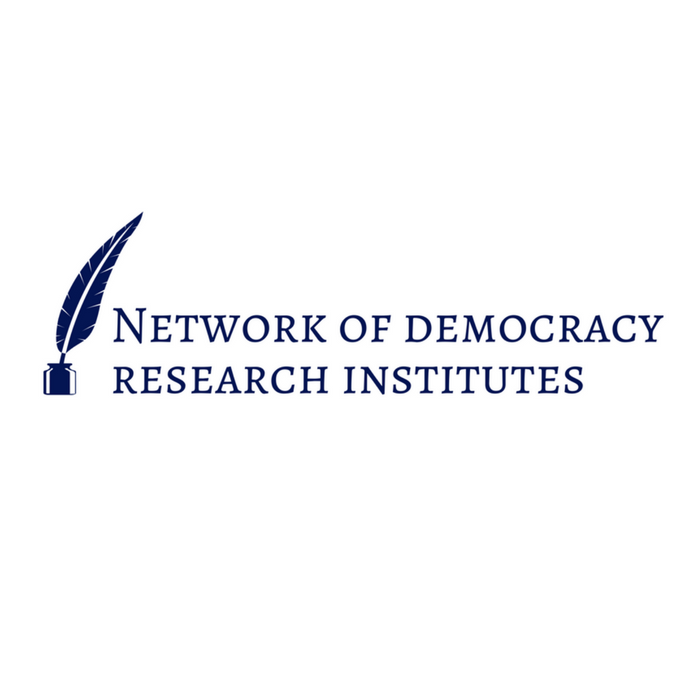 The Asia Democracy Research Network published two reports: “Electoral Violence Against Bangladesh’s Religious Minorities: Challenges and the Way Forward,” focusing on steps the Bangladeshi government must take to reduce the persecutions that occur against religious minorities and indigenous people during parliamentary elections; and “Pakistan’s 11th General Election: Outcomes and Implications for Democracy,” which analyzes the July 2018 General Election in Pakistan and highlights the concern over increasing over-reach of the military in politics and democratic governance. The Pakistan Institute of Legislative Development and Transparency (PILDAT) released an “Assessment of the Quality of General Election 2018,” along with an updated “Monitor on Civil-Military Relations in Pakistan.” The Assessment finds that the overall quality score of the 2018 elections stands at 51.79%, dropping nearly 5 percentage points from the 2013 score of 56.76%. The Access to Information Programme (Bulgaria) launched the English translation of the report “Access to Information in Bulgaria 2017. It contains recommendations regarding the access to information legal framework and its implementation; an assessment of the regulations in the access to information area; analysis of the results from the assessment of the proactive transparency of 567 institutions for 2018; analyses of the access to information cases referred to AIP for legal help and consultation during 2017; tendencies in court practices on access to information cases in 2017, and 6 annexes. The Association for International Affairs (Czech Republic) published “Illiberalism in the V4: Pressure Points and Bright Spots,” a study focusing on the Visegrád countries and the similar patterns among them that play a role in the new illiberal trend in Central Europe. The Institute of Public Affairs (Poland) published “Youth, Politics, Democracy: Public Opinion Research in Hungary, Poland, and Slovakia.” The study finds that support for democracy is widespread, but conditional; youth are dissatisfied and disengaged from politics; anti-immigrant sentiment is strong, but not a a top-concern; and Facebook is a leading source of information for youth in the region. Peter Kreko, director of Political Capital (Hungary) co-authored a piece for Foreign Affairs entitled, “How Putin’s Favorite Biker Gang Infiltrated NATO.” Kreko explains how a pro-Russian biker gang, the Night Wolves Europe, set up base outside of Bratislava, and how Slovakia and NATO must respond. The Quality of Government Institute (Sweden) issued a working paper on “Exploring the Shades of Corruption Tolerance: Three Lessons from Iceland and Sweden,” which aims to map variations in corruption tolerance in two low-corrupt countries, and identify factors that influence tolerance of corruption at the individual level. The Center for the Opening and Development of Latin America (CADAL, Argentina) published three English-language articles in August: “The G20, civil society, and democratic commitment,” which argues that the G20 cannot succeed without the support of civil society groups; “Human Rights and Economic Policy Under the Argentine Military Dictatorship, 1976-1983,” which outlines how domestic politics—especially the politics of human rights—can become intertwined with, opposed, and shaped by economic interests; and “Milada Horáková: Defender of Democracy Against Totalitarianism in Czechoslovakia,” in observance of the Day of Remembrance for the Victims of Totalitarianism. In November 2018, Latinobarometro published its 23rd annual report, showcasing public opinion data on socio-economic conditions in 18 countries in Latin America. The report shows that nearly all political, economic, and social indicators fell in 2018, some reaching the lowest levels since report measurements began in 1995. The State of the Nation Program (Costa Rica) launched “The 2018 State of the Nation Report” on November 13 (en español). The Report assesses Costa Rica’s performance on Human Development in 2017 and the first half of 2018. The Lebanese Center for Policy Studies published a policy brief on “Combating Corruption, a Necessary Step Toward Improving Infrastructure,” highlighting how corruption threatens Lebanon’s public infrastructure investments. The International Forum for Democratic Studies (United States) published a blog post on its blog, Power 3.0, entitled, “Corrosive Capital in Central Asia: Perpetuating Poor Governance.” Building upon the Center for International Private Enterprise‘s assessment of “corrosive capital,” Eric Hontz examines the role of Chinese and Russian investment in perpetuating poor governance in Central Asia. The Center for International Private Enterprise (CIPE) in coordination with New Markets Lab (NML) launched the Digital Economy Enabling Environment Guide: Key Areas of Dialogue for Business and Policymakers on October 4, 2018. The Guide covers four priority topics including, Consumer Protection, Data Protection, Cybersecurity, and Electronic Transactions (e-payments and e-signatures). Francis Fukuyama, director of Stanford University’s Center on Democracy, Development, and the Rule of Law (United States) published a new book: Identity: The Demand for Dignity and the Politics of Resentment.